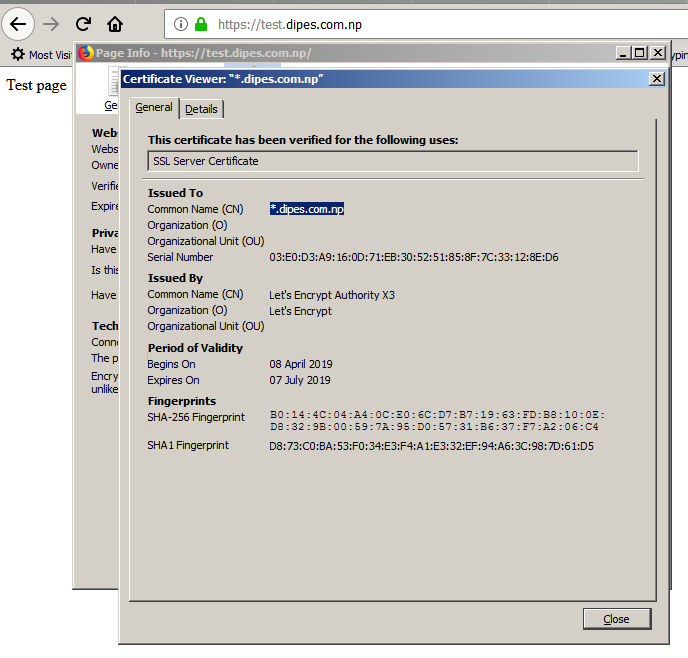 Let's encrypt now provides wildcard certificates to be deployed for servers groups and even for the servers at intranet. 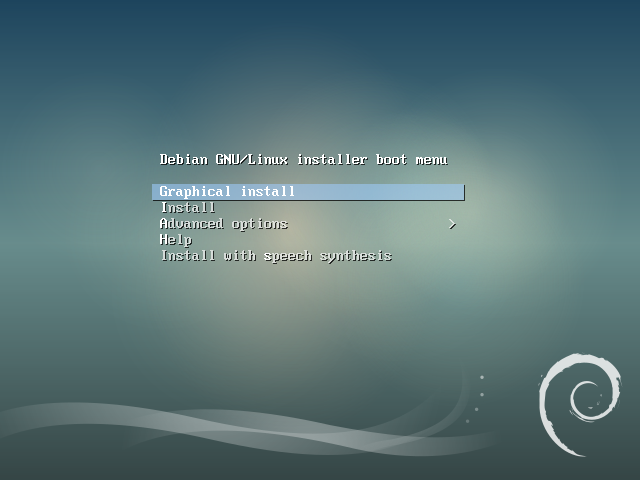 I am using CEntOS here. Install apache and mod_ssl plugin then install certbot package. Replace dipes.com.np with your own domain and your email. Update the TXT record with the generated value and verify the record before pressing enter. Once it it verified message is displayed as follows. 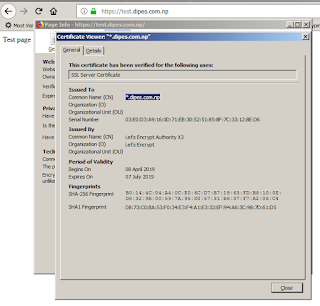 Update the certificate and key file location as in apache ssl configuration file.